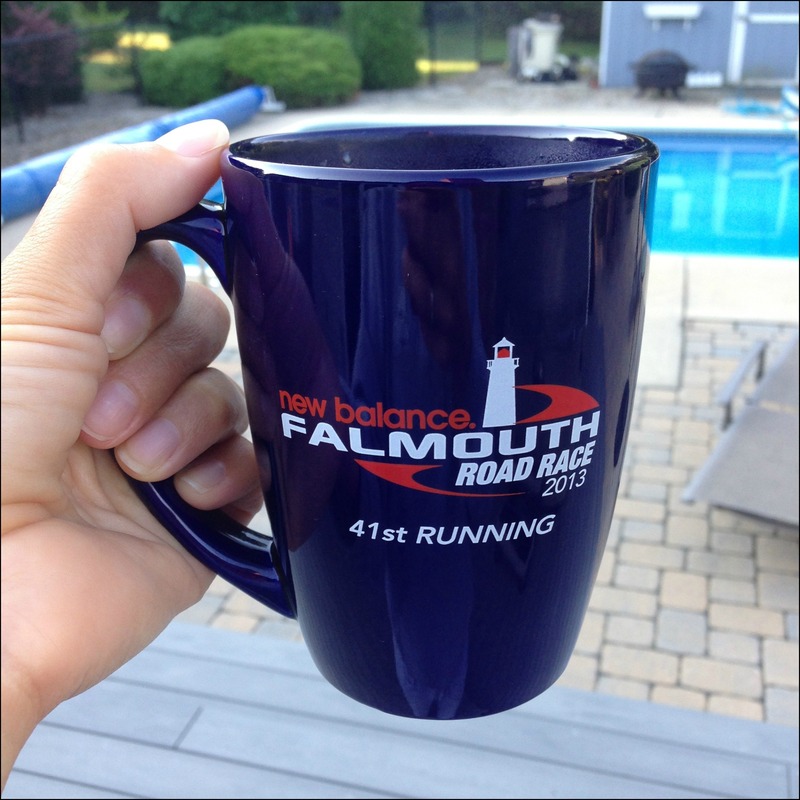 Used my Falmouth Road Race mug all week! 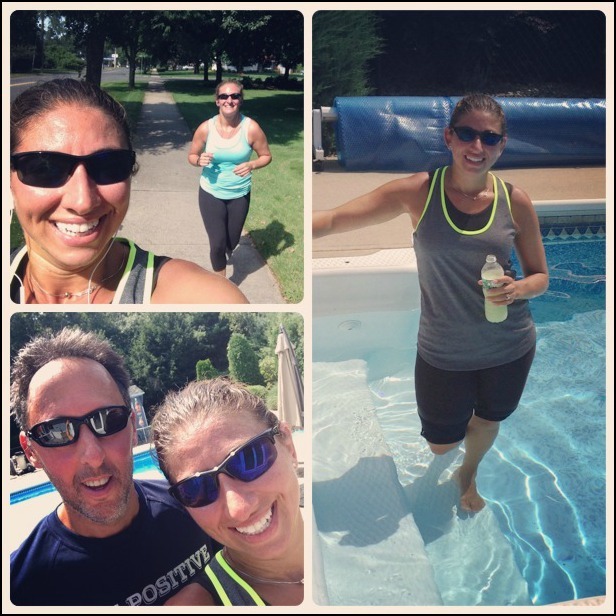 Highest mileage week in a LONG time and it was great to have company on my long run! Definitely feeling a little more confident about Dumbo (although I haven’t actually done any specific back to back training runs…oops!) and Marine Corp after this week – it’s amazing what a difference the lack of humidity makes, I actually enjoyed running! I was at my mom’s house to do PT observation hours at a rehabilitation hospital near her so I wasn’t able to get any yoga in. I’m really looking forward to getting to yoga at my usual studio a few times this week after being up at Cape Cod most of the summer! I also need to decide if I want to taper my running the next two weeks to get ready for Dumbo and go for a PR attempt during the half or if I want to keep the mileage high for my Marine Corp training and just run the Disneyland Half with no time goal in mind. 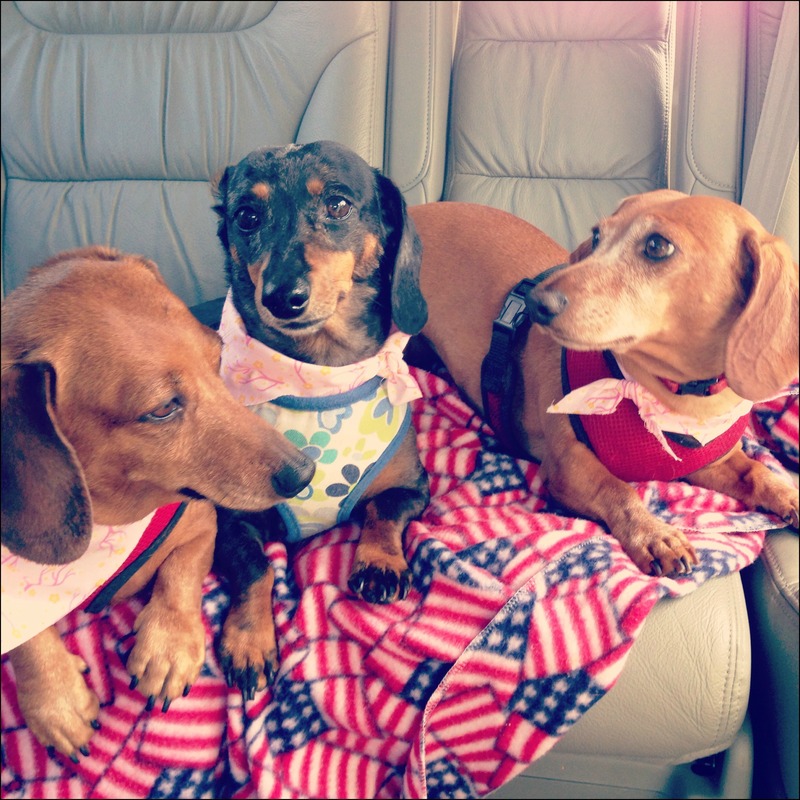 Maddie & her friends fresh from the beauty parlor! I can’t wait to share my 10k costume, I’m really excited about it! Love that coffee mug! Can’t wait to see the costume. No yoga? Gasp! Great job on the 16 miles! It’s so much better when you have people to run with you 🙂 I’m so excited to see your costume! Any hints? And of course, your dog is adorable! I am so tempted to share a teaser of the costume but I think it’ll give it away! I’m thinking I may post a hint on Instagram or my Facebook page on Friday night…we’ll see!